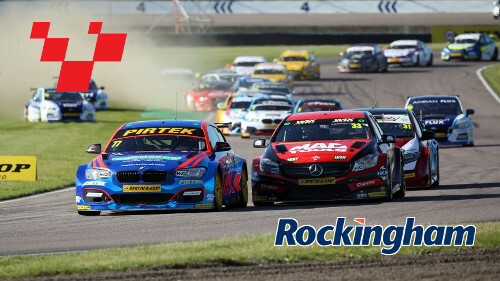 Rockingham Motor Speedway is a modern motorsport venue in the United Kingdom, that hosts corporate driving days, driver training, conferencing and exhibitions, vehicle manufacturing events, track days, testing, driving experiences and motor racing. It claims to be Europe's fastest racing circuit, and was the first banked oval constructed in Britain since the closure of Brooklands in 1939. Rockingham has 13 configurations of track, which can be used for anything from touring cars to motorcycles to rally cars. The circuit is overlooked by the 6280 seat Rockingham Building, a steel-framed, glass-fronted grandstand building containing suites, offices, bars and kitchens, and by four grandstands. Together the building and grandstands offer a total seating capacity of 52,000. The inner pit and paddock complex is accessed from the Rockingham Building via two pedestrian tunnels and there is a further spectator viewing area on top of the pit garages. Billed as ‘the fastest track in Europe’, the huge oval at Rockingham leaves a lasting impression on every visitor. One of the newest circuit developments in the country, Rockingham Motor Speedway was completed in 2001 and contains a number of possible track configurations, including the NASCAR style ‘oval’. The BTCC cars use a section of the oval before switching onto the infield to face a challenging sequence of tight hairpins and fast sweeping bends. Adam Morgan gets his BTCC season back on track after taking a comfortable race one win ahead of reigning champion Ashley Sutton at Rockingham. The Mercedes A-Class driver led every lap of what proved to be a tricky opening race in changeable conditions from pole position to eventually take the win by over three-seconds ahead of defending champion Ashley Sutton. After a brief safety car phase, Morgan led the way once again as Sutton quickly muscled his Subaru into third ahead of Cammish, and set about heaping pressure on Chilton's Focus. Despite coming under a severe degree of pressure, Chilton was firm in his defence of second and held the position for the majority of the race. But Sutton finally broke through Chilton's resistance with a bold move at Tarzan hairpin on the 13th lap of the race. Chilton retained his spot on the podium in third, while BTC Norlin Racing's Chris Smiley snatched fourth on the line by 0.059s ahead of Cammish in fifth. Subaru's Ashley Sutton reignites the defence of his British Touring Car Championship crown with his fourth of the season at Rockingham. The Subaru driver started the race from second on the grid, but immediately powered his RWD Levorg into the lead at the start of the race, ahead of race one winner Adam Morgan. Once the final safety car came in on lap eight, Sutton, like Morgan managed in the previous race, was able to pull away at will as the conditions continued to improve following a greasy start to the race. 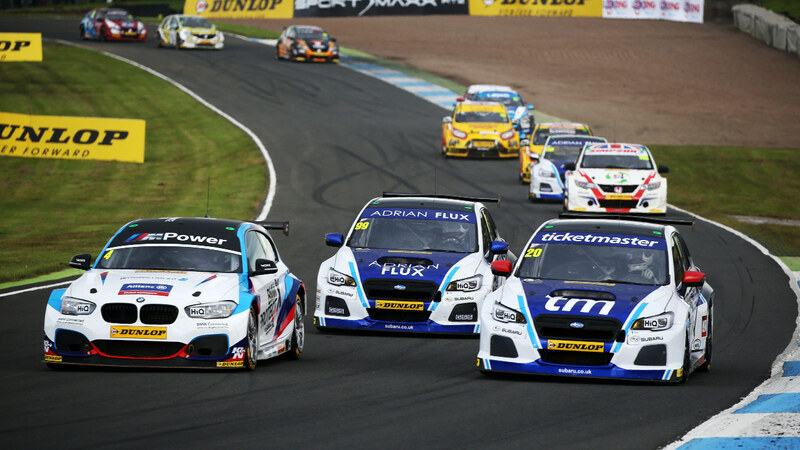 Sutton eventually crossed the line 4.4s ahead of Morgan in second, to leap up into third in the drivers' standings, just 17-points off Tom Ingram's championship lead. While Sutton took the honours at the head of the field, it was Ingram who arguably stole the show after the Speedworks Motorsport driver produced another remarkable recovery drive from 27th to a scarcely believable third. 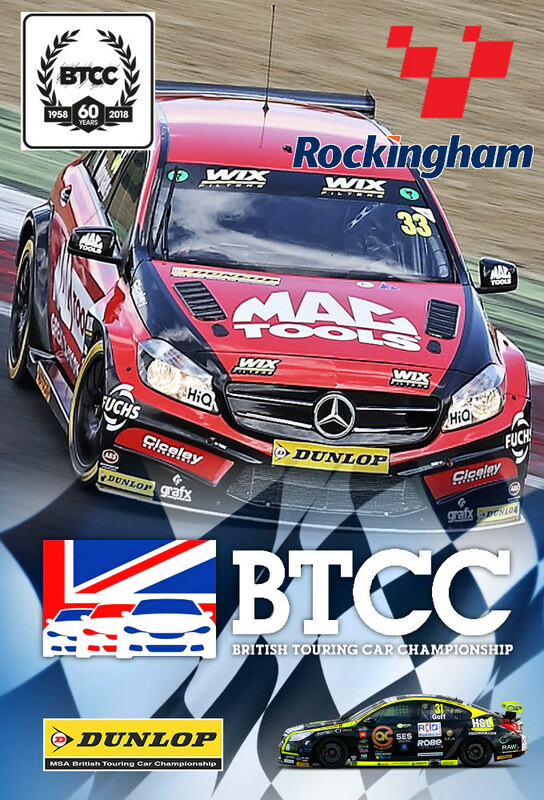 BTC Norlin Racing's Chris Smiley took his first ever British Touring Car Championship race victory after winning a chaotic third race of the day at Rockingham. The Honda Civic Type-R driver started the reverse grid finale from fourth, but took full advantage of a dramatic opening lap to win the race by over three-seconds ahead of championship leader Colin Turkington. Light rainfall caused havoc at the opener corner, which led to multiple cars falling off the track at the Deene hairpin, including the then race leader and polesitter Tom Chilton. Once the race was restarted, Smiley was subsequently able to enjoy the luxury of extending his lead ahead of the Eurotech Honda of Matt Simpson, who eventually lost his position to Team BMW's Turkington on the final corner of the race.